I hadn't noted this on my blog yet, but I will now. 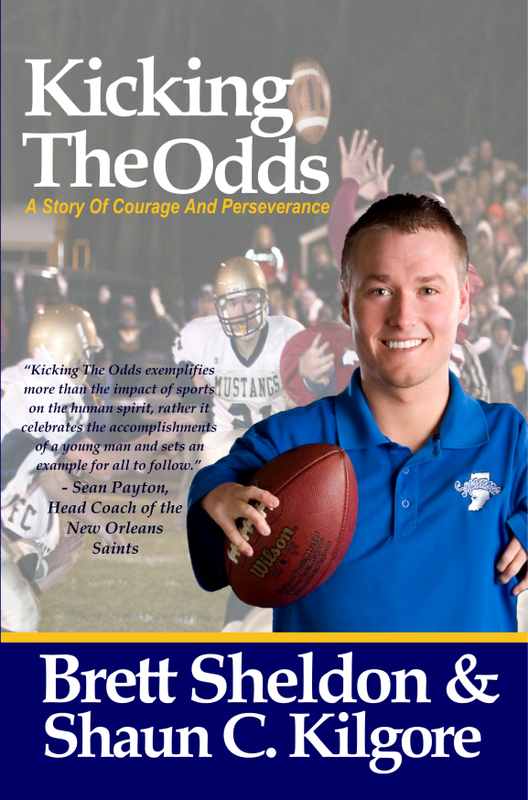 Those of my readers who were interested in purchasing Kicking The Odds, you can now buy a copy on Amazon right now. CLICK HERE. Plus, if you live locally come out on Saturday April 28th and get something good to eat, meet the authors, and buy yours copy of Kicking The Odds and get it signed. We have a Facebook event page set up for it. HERE. We are just getting the ball rolling on some media promotions efforts. I'm trying to do my version of pulling out all the stops. I still have a lot to learn about the process of book promotion--particularly when an effort will be effective and yield results and when it's a waste of valuable time. Just today, Brett Sheldon appeared on a television news station out of West Lafayette, Indiana. You can follow the link RIGHT HERE to read the story and watch both videos on WLFI's website. I'm also including one of the videos here.